Most people are pretty unhappy when they have to be awake at six in the morning, and usually I am right there with them. Today is different though, not because I woke up on the “right” side of the bed this morning, but because the NHLPA and NHL have reached a tentative agreement to end the NHL Lockout. The news broke early this morning by the media in attendance including TSN analyst and former Bruin Aaron Ward, TSN’s Darren Dreger, and ESPN’s Pierre Lebrun. The story from TSN can be read here. While details are few at this time and are the typical “more to follow” variety; it is known that the new deal is 10 years in length. The tentative deal was finally reached after a marathon session of negotiations which eclipsed nearly 16 hours and led into the early morning of today. It also appears as if the deal features a salary cap of $64.3 million in the second year which is a common ground for both parties as the owners wanted for the cap to be $60 million. It is this concession that is believed to hold major significance in reaching a deal between both parties. According to ESPN and TSN analyst Pierre Lebrun, the NHL has both 50 game and 48 games schedules drawn up depending on how long it takes to ratify the new CBA. It is unknown at this time as to how long that process will take. What I can tell you is that the NHL Lockout is all but over. There are still some minor things to be done, but for all intents and purposes, we will be seeing hockey pretty soon. 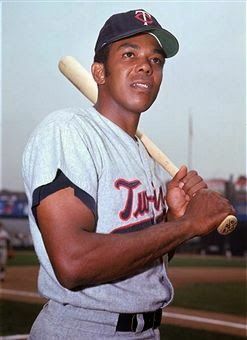 More information will come out over time and we here at Boston Sports Then & Now will keep you all abreast of it as it is released. For now you can all sit back, relax, and think about your beloved black & gold taking the ice at the TD Garden sometime in the next couple of weeks. 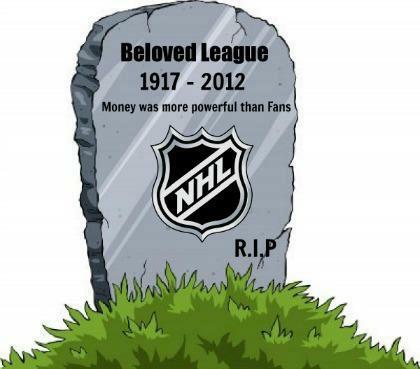 The NHL Lockout is TWO MONTHS old already and the fans are trying to SURVIVE. Until then here are some ideas how to spend your time outside of wishing BODILY HARM on Gary Bettman. 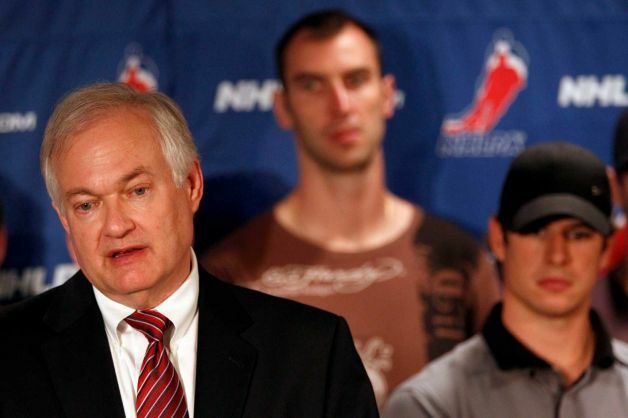 Donald Fehr Is Not Going To Accept An Unfair Proposal Just To Do It. – Given the enormous concessions players made in the last round, plus 7 years of record revenue reaching $3.3 billion last season, there is no reason for a reduction in the amount the players receive. – Players are willing to take reduced share going forward so that the NHL can grow out of whatever problems some franchises face. – The player contracting rights secured in the last negotiations should be, at minimum, maintained. – Revenue sharing needs to be enhanced and structured so as to encourage revenue growth by the receiving teams. Gary Bettman Does Not Care About The Fans Or The Game. The NHL Lockout is a month old and games have been cancelled through October 24th. Hockey fans were praying for hockey by Thanksgiving or at the worst by the Winter Classic. Or some MOST were thinking another season would go up in flames due to GREED. The NHL put a new offer on the bargaining table for the NHL Players’ Association on Tuesday morning, which includes a 50/50 split of hockey-related revenue and contingent on an 82-game season beginning Nov. 2. “We hope we’ve given our best shot,” NHL commissioner Gary Bettman told reporters on Tuesday afternoon. Best shot really? How about your best shot back in 2004-5 so this mess NEVER happened? This is a NO WIN SITUATION for the NHLPA. If they take the deal they lose 7% of the revenue that the owners AGREED to back in the LAST lockout. Now The players have to play more games during a condensed schedule. Which means….MORE INJURIES, so the NHL can re-coop their losses. If the NHLPA turns down this offer, they now look like the “BAD GUYS” in this. The NHL would win the PR battle that they are losing right now by a LANDSLIDE. The owners & “GREEDY GARY” have backed the NHLPA in the corner. The players will have to accept the offer or the fans will turn on them. Just what the NHL wants. I want hockey more than anyone, but I also want this league to become stable and not the LAUGHING STOCK of organized sports. If I was Donald Fehr, I would tell Gary Bettman to SHOVE IT! 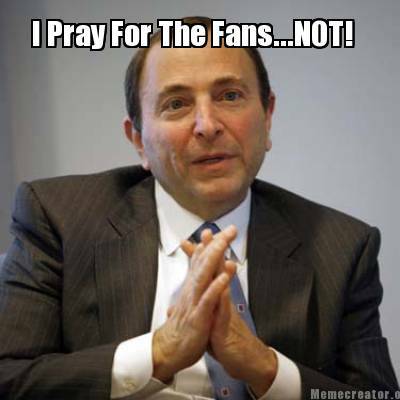 Bettman does not care about you (the fans), the players or the game. He just wants to line the pockets of the owners…..as he twists his handlebar mustache and while he sports his EVIL grin.